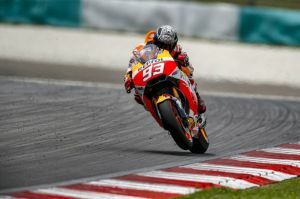 The sun was shining on the final day of the Sepang test, and the Repsol Honda riders wasted no time in taking to the track at 10 a.m. Completing a productive day of testing that was mainly focused on the RC213V’s latest engine configuration, the chassis and the Michelin tyres, Marc Marquez and Dani Pedrosa improved their setup and pace. Marc today completed 85 laps (more than any other rider), and his time of 1’59.506” on lap 18 was the second-fastest (third in the combined standings), just 0.138” off the top. Dani set today’s fourth-quickest lap with his time of 1’59.578” on lap 64 of 67 (fifth in the combined standings), just under one tenth down on his teammate. The Repsol Honda riders will now fly to Jakarta, Indonesia, for the official Team Launch on 3 February.